Get cheap prices expired web2.0 tumbler on our special discount. I offer proven blogs registered with a unique IP (Dynamic IP variables from my home network = never ban). 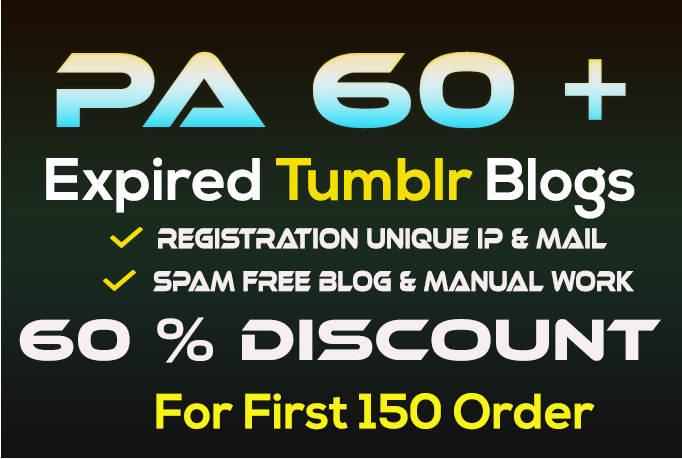 Having a Quality Expired Tumblr Link will pass an enormous amount of Link Juice to your domain. Help Boost Your website Ranks. Real and Unique Ip for each account. The expired blogs which I am not going to provide they are not niche related but they are powerful. Note: Please contact me before you place an order.